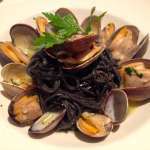 While I’m not sure I’d go quite that far based on my one visit so far, I will say that a recent meal at Zeppoli absolutely featured some of the finest Italian food I’ve personally tasted anywhere outside of Italy itself. 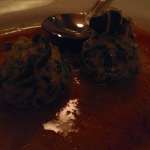 Every dish was outstanding, unique, and a beautiful example of how “simple” Italian food can be elevated to truly incredible heights of flavor and artistry. Head chef and owner of Zeppoli, Joseph Baldino, certainly had some of the finest background and training in the Philadelphia area. He was Chef de Cusine at Vetri before opening his own restaurant, where he has chosen to focus specifically on Sicilian cuisine. 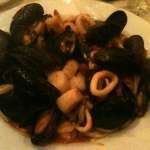 Sicilian food is not at all like the Southern Italian/Italian-American cooking which dominates the menus of most Italian restaurants in South Jersey; there is a much stronger emphasis in Sicilian cuisine on spices and ingredients from North Africa, for instance, as well as citrus fruit and of course fresh Mediterranean seafood. All of these elements are present on Zeppoli’s short but smart menu of salads/starters, pastas (available in full or half sizes), entrees and desserts. The sweetie and I decided to make Zeppoli our early-Valentine’s Day destination this year, provided I could secure a mid-week reservation. 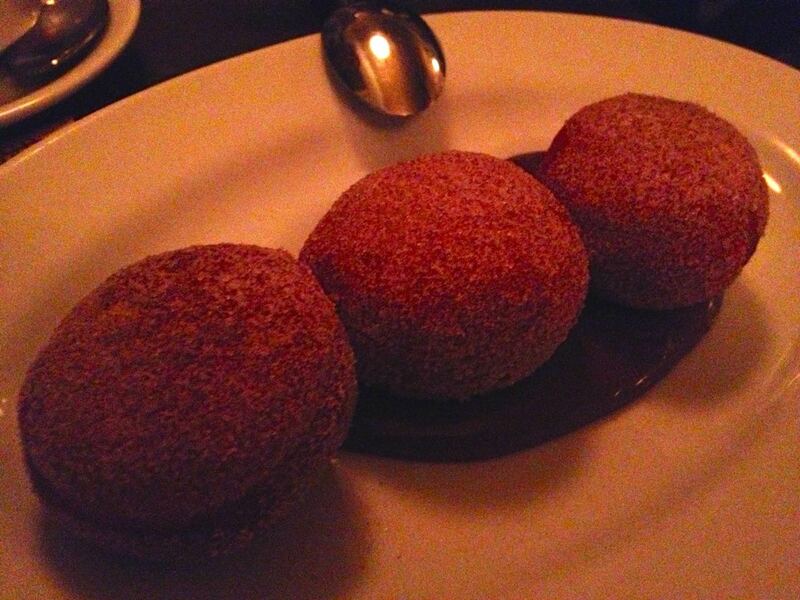 Zeppoli is not on OpenTable so I did have to call to make my reservation, but I was impressed by the service received there from that initial call. The server I spoke to was very helpful not just in finding an available time for us close to my initial request but also making sure I knew the restaurant was BYOB, and that they had parking available in a lot behind the building. That’s always good to know! We arrived just on time for our 6pm reservation. At that time the small (35 seat) restaurant only had two other tables occupied, but that would not last very long. The dining room is rather sparse and dark in decor with wooden tables and floors and small black and white photographs lining the walls (which are rather hard to see once it’s dark outside). Our server was the same one whom I’d spoken to on the phone and he was very quick to open our bottle of wine, bring us menus, and go over the specials of the day along with what made the food at Zeppoli unique. 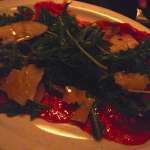 We ended up ordering two specials of the night to start: a Beef Carpaccio served with sauteed mushrooms, and Grilled Sardines. For pasta, we went for half-orders of the Tagliatelli al Limone and Pesto Trapanese. Then for entrees, I had to try the Coniglio Pizzaiola (stewed rabbit) while the sweetie went for the night’s special whole fish. 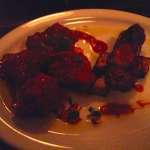 As a side note, I got the impression from our servers that night that many people may not be used to the boldness of the flavors and style of food offered at Zeppoli compared to many other Italian restaurants in the area. 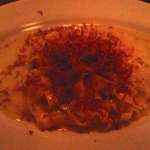 When placing our order I had to assure our server that I did indeed want the Tagliatelli al Limone with the bottarga, that I would not be turned off by the very strong lemon flavor, and that we absolutely wanted our fish whole and not fileted in advance of serving. Next came our starters, the two specials of the night. 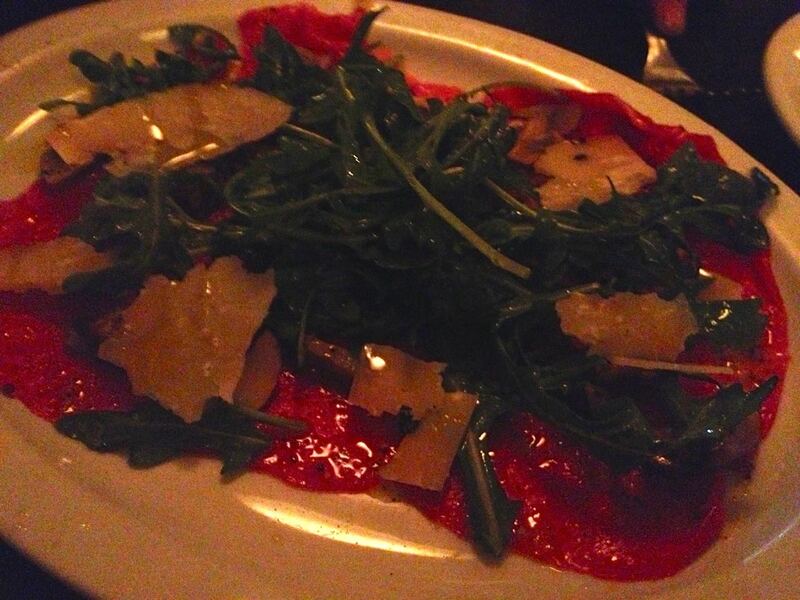 The beef carpaccio was a lovely version of the dish, one of my sweetie’s favorites so it’s impossible for him to resist when it’s on a menu. 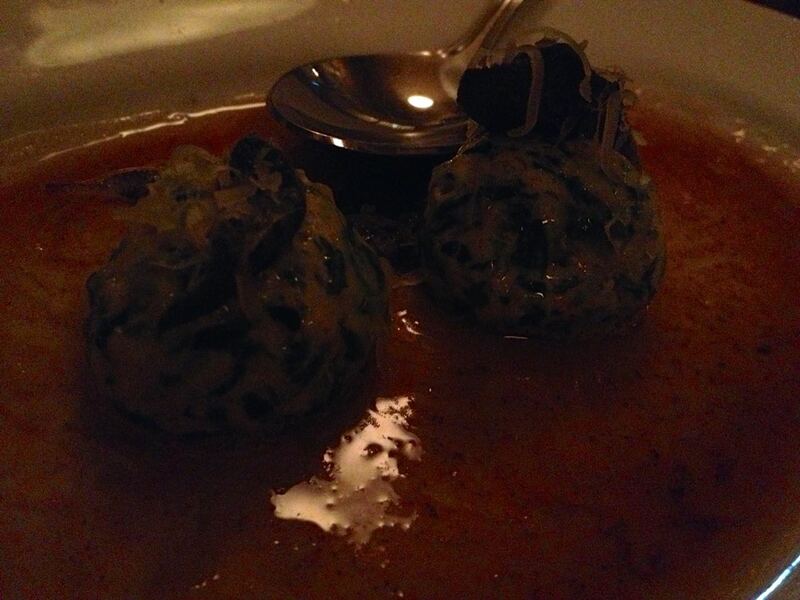 The addition of the mushrooms was an interesting and different take on the dish. 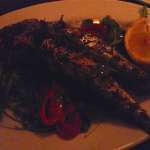 Grilled sardines are one of my weaknesses and I can only say I devoured mine just about as fast as they were on the table. 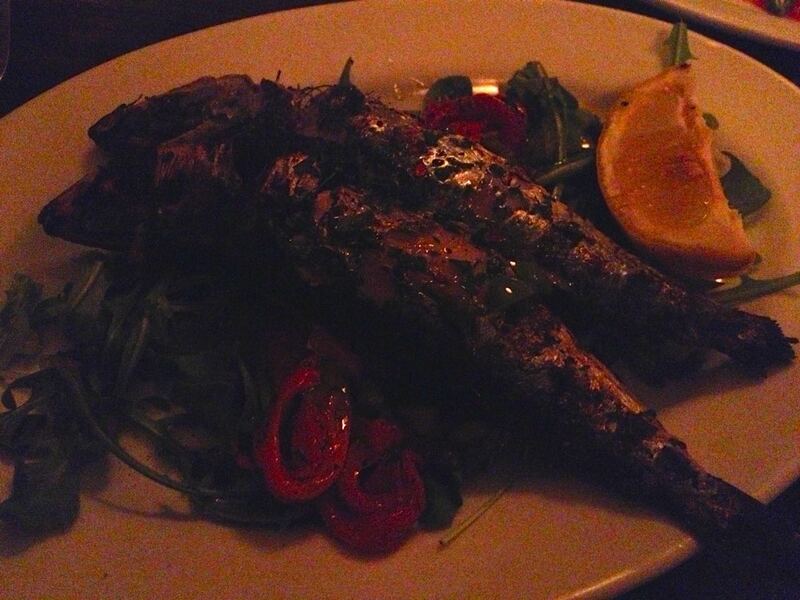 The serving was of two very large, meaty sardines perfectly grilled and served with some refreshing greens. No complaints here about either of our dishes! Next it was time for the pasta courses. 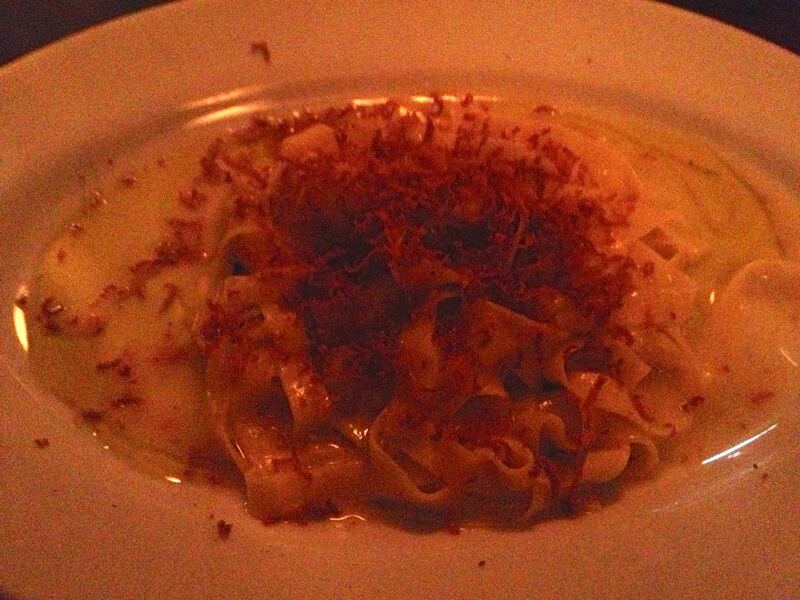 I cannot rave enough about how incredible the Tagliatelli al Limone was. Yes you definitely have to like a strong lemon flavor to enjoy the dish as it is made with both lemon juice and lemon rind. But the bottarga gave it that perfect salty-sharp contrast that kept the dish from being overpoweringly just about the lemon. (Recall how in my last post I talked about a pasta dish I made over the weekend with lemongrass, lemon juice, and lemon rind that I felt was lacking in balance? Well. This was just the kind of balance and complexity such a dish needs.) The Fusilli with Pesto Trapanese was equally impressive, featuring a lush pesto sauce made from almonds and pistachios. I usually avoid pesto dishes in restaurants because of my raw garlic intolerance, so I only tasted a small amount of my sweetie’s dish. But it was definitely more about the lush herbs and nut flavors than being overpowered by garlic as so many pesto sauces are. This was definitely another winner. Next, our entrees. The whole fish was a sight to behold when it came to the table—not only was it much bigger than we expected (for a fish to serve one!) 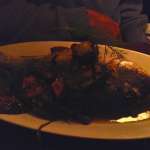 but it was beautifully dressed with fennel fronds, lemon, black olives, caper berries and roast potato slices. It was a feast that could have easily fed perhaps three, not just the two of us, and would have been more than enough for us both to share! But it wasn’t just huge; it was simply incredible in flavor. 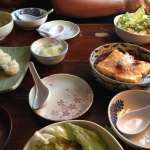 The fish was perfectly cooked, head to tail, and somehow the sweet delicate taste of its flesh was not overwhelmed by the assertive other ingredients. Truly this was amazing food artistry and cooking skill at work. 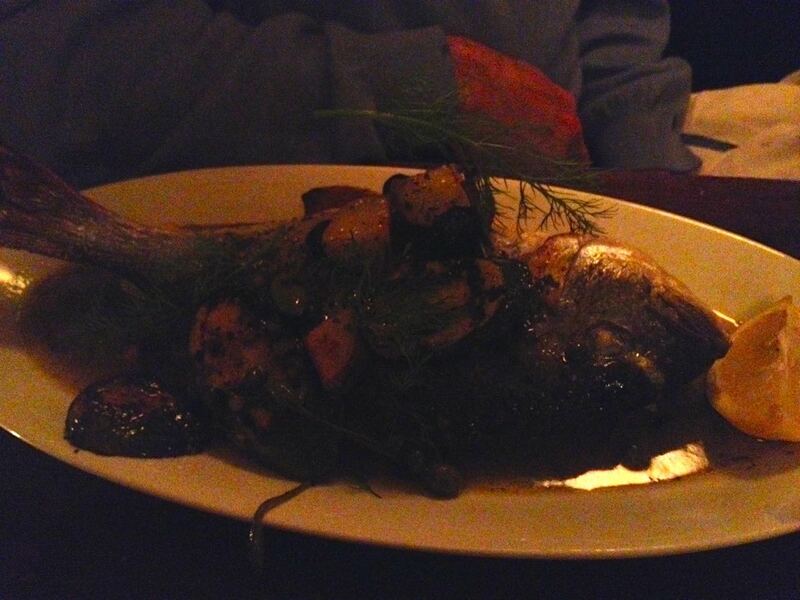 I cannot say I’ve ever had a whole fish in a restaurant so expertly and deliciously prepared. And that’s not to knock the rabbit dish at all, either. 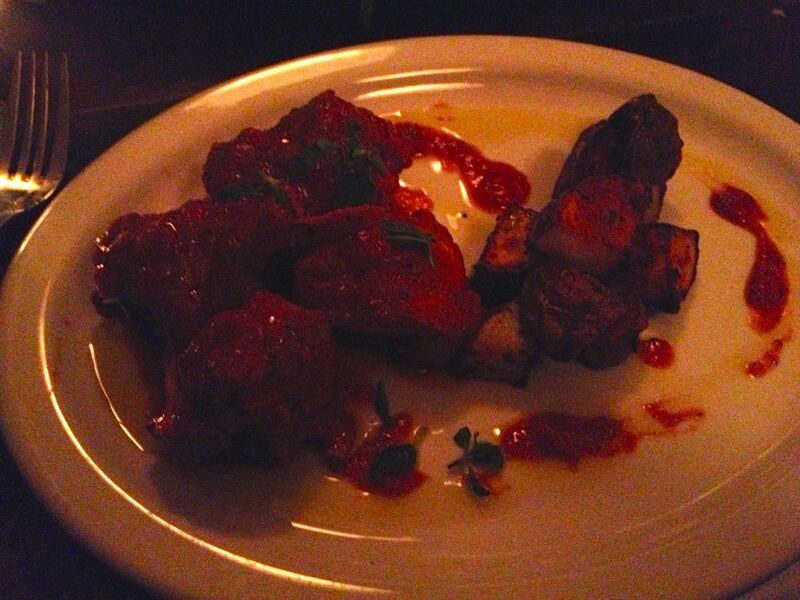 The Coniglio Pizzaiola was perfectly fork-tender, served in a sauce that reminded me of a refined cacciatore. Even the small roasted potatoes served with the rabbit were delightful, not just some afterthought on the plate as is so often the case. We were getting beyond full not even half-way through our plates but the food was simply too good not to push ourselves to eat every last bit of the fish and rabbit. 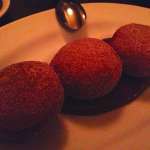 Despite being full, how can you not indulge in some decadent desserts when celebrating Valentine’s Day? I let sweetie pick since dessert is his favorite, so we ended up getting their namesake dish, the zeppolis, as well as the panna cotta. There is truly nothing like a fresh-made zeppoli, that sweet sugar-coated dough deep fried and still warm…just yum. 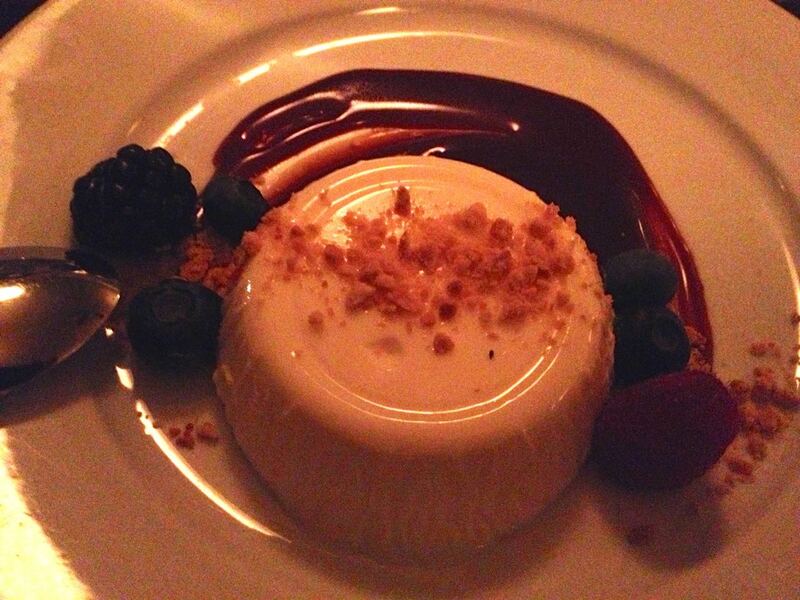 And actually the panna cotta was a perfect pairing; getting a little of both on the fork was like enjoying the most perfect cream-filled doughnut imaginable. All told, this was by far one of the best meals I’ve enjoyed out at a restaurant in many, many months. I only regret that it’s taken so long for us to make it there, but surely it will be a favorite destination of ours in the future. I will caution that those who find loud restaurants uncomfortable may want to make sure to book an early reservation here; when we arrived at 6pm it was comfortably quiet but once full, by the time we left at 8pm, it was near impossible to hear each other over the din filling the tight quarters. Also, reservations are absolutely a must and I imagine that is the case most nights, not just weekends and holidays. While you might get lucky just showing up at opening time, I wouldn’t take the chance at missing out on such a great meal. 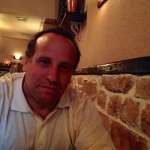 This entry was posted in South Jersey restaurants and tagged collingswood, italian restaurant, restaurant review, sicilian food, south jersey, zeppoli. Bookmark the permalink.